Here's a text messaging solution for you that can cut down your Sms bills. Jaxtrsms is a unique mobile texting application that can send free sms from your mobile app to all mobile phones worldwide. This app can send messages to all your address book whether they have the app or not. The application is available on all major mobile platforms like android, iphone, java, Symbian, etc. You can send domestic or international sms absolutely free from this application. The recipient does not require to have internet or any application on their mobile. 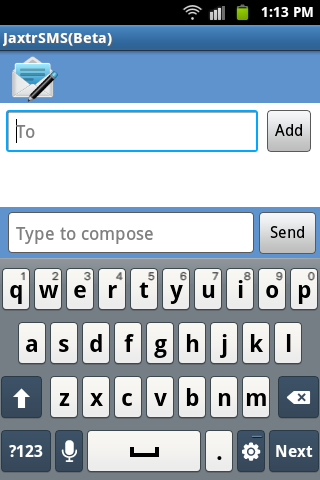 Sms will be reached as normal text messages with your sender ID and a footprint of jaxtrsms. The android app of JaxtrSMS is an easy to use one which is available to download from android market. 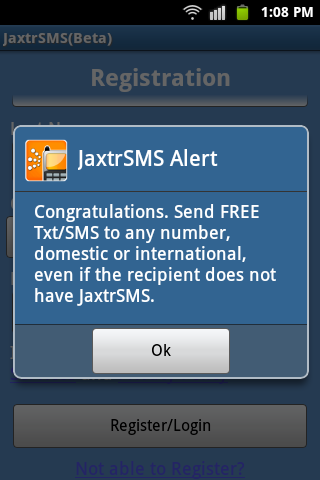 Download JaxtrSMS from Android Market. 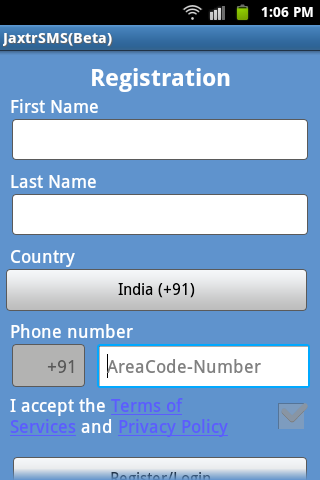 Just register with your mobile number and name. Note: If you are facing excessive battery drain or heavy data usage, you can go Settings and disable "Data Over Cell" and "Run In Background" options from the app. Enjoy free SMS world wide.